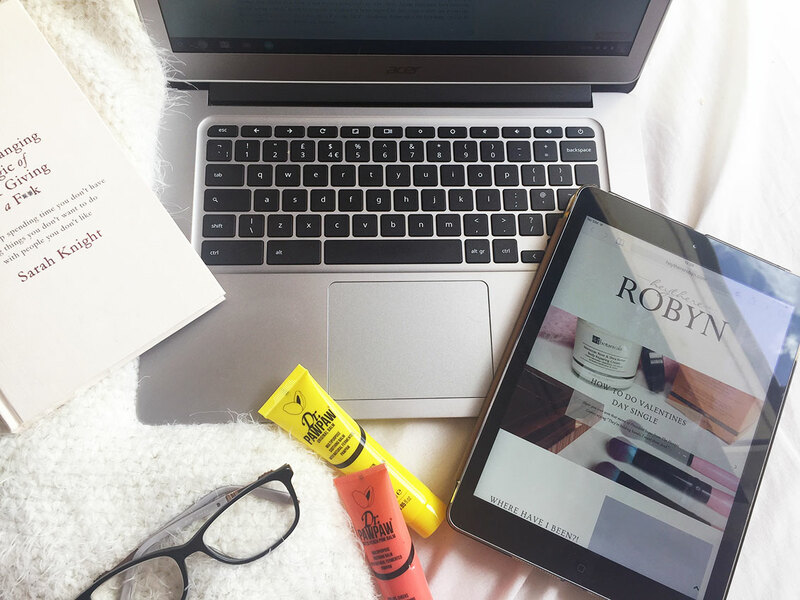 When you're new to the blogging world it can be a bit of a scary place, there are all of these bloggers with thousands of followers, what is a Twitter chat? What does SEO stand for again? I buy a domain from who now? It can be a complicated few weeks, maybe months when you start blogging and you're trying to figure everything out, but there are certain things you shouldn't do no matter what, but don't worry, may of us have made the same mistakes and this is why I am here to help you not make the mistakes I and other bloggers have made. I don't necessarily know if 'F4F?' is still around, but I do know that asking people for follows is still a thing and it shouldn't be. You don't want to be on the sending or receiving side of a follow request. Whether you are asking on Twitter, sending your Bloglovin links to people or commenting on Instagrams, you should never ask someone for a follow. Let your audience grow organically because who wouldn't want to follow you? You're cool as hell. If you are on the receiving end of this request you do not need to follow them, in fact, I advise you don't unless you actually like what they post. This is a big no-no when working with a company it is important that you have no-follow links and not follow links. It is actually in the Google guidelines and your DA and SEO can be seriously affected if you don't abide by this rule. I had no idea this was a thing at first and had to go back and change a load of links about 6 months into blogging. Not only did it effect my DA, but it was a pain to do, learn quickly and do no-follow links straight off the bat. 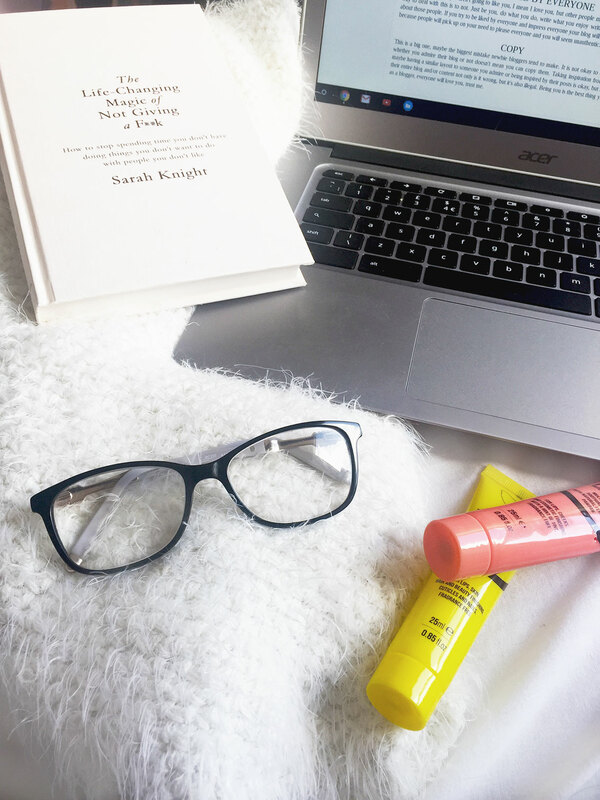 It is so important that when you are writing your blog you are doing it because you enjoy it, otherwise, what is the point in doing it at all? The first step to achieving this is to write about things you enjoy writing about whether it be makeup, fashion, politics, lifestyle, parenting or student life, it should be something you feel happy and confident while writing about. Now, a lot of people, myself included prefer to just use our own images all the time, for me it is easy and I avoid being a criminal at all costs. Other bloggers use stock images, images from Pinterest, images from Instagram etc on their blogs, this is okay, if you are crediting the source of the image and not just "from Pinterest", it is important for your blog and for legal reasons to verify and credit the owner of the image. This one is probably going to be something a few people disagree with, but I think it is important to not take every single opportunity that comes your way. Sometimes companies approach you that just do not fit with your blog subject and by working with them it could potentially come across as selling out because people can see this one off random beauty post on a fashion blog is sponsored and they start to question if you actually like the company and they may begin to trust you less. Be cautious of who you work with, work with companies that fit with your blog, excite you and make you feel comfortable. Sometimes in life people aren't going to like you, I mean I love you, but other people might not, so the best way to deal with this is to not. Just be you, do what you do, write what you enjoy writing and stop caring about those people. If you try to be liked by everyone and impress everyone your blog will become unlikable because people will pick up on your need to please everyone and you will seem unauthentic. Just do you. This is a big one, maybe the biggest mistake newbie bloggers tend to make. It is not okay to copy people, whether you admire their blog or not doesn't mean you can copy them. Taking inspiration from someone, maybe having a similar layout to someone you admire or being inspired by their posts is okay, but if you copy their entire blog and/or content not only is it wrong, but it's also illegal. Being you is the best thing you can do as a blogger, everyone will love you, trust me. It may have happened to a few people, but chances are you're not going to start blogging one day and have thousands of followers the next. Blogging takes time and a whole lot of patience, blog because you enjoy it not because you hope to get famous from it. Most bloggers don't ever get 'famous', most of us blog because we love blogging, so you're in the majority with this one. Have I missed any? What do you wish someone had told you when you were a new blogger? Tell me in the comments.